As we wait for the second half of season 7 of The Walking Dead to shuffle onto our screens in February next year, you wish to spend some time re-living the far away days, at least as far as storyline and still-present staff members are concerned, of season 1 and 2 when life was Negan-free and by comparison, relatively-less deadly. 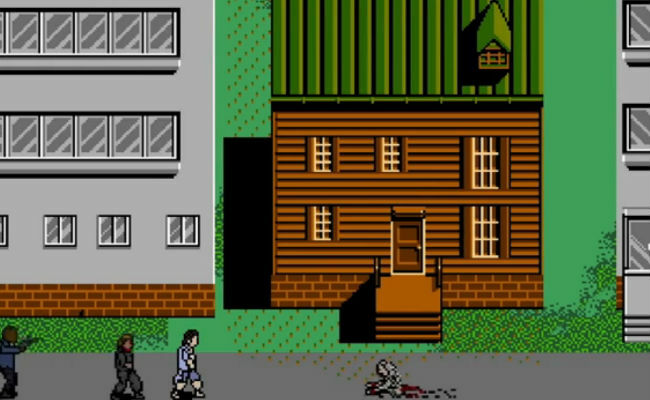 But still not completely free of perils and pestilence as Cinefix’s The Walking Dead entry in their 8-bit Cinema series makes all too clear. Drawing on ye olde gaming technology, in a process Cinefix calls “gamifying”, fans are presented with the events of the first two seasons and some pixellated walkers who are no more fetching in digital form. It’s the stuff of retro nightmares, my friends, and it’s yours to enjoy until the real non-pixellated walkers and humans make their apocalyptically all-too real return.